Apple assembly partner Hon Hai —better known as Foxconn —has posted net income of $2.5 billion for the December quarter, reportedly linked to strong orders and consequent sales of the iPhone X. The figure exceeded the roughly $2 billion anticipated, Bloomberg said. Foxconn is highly dependent on Apple, from which it's thought to generate over half its revenue, much of that from iPhones. The manufacturer didn't break down its latest results by company or product. Apple CEO Tim Cook has asserted that the iPhone X sold well during the critical holiday season. Both before and after the phone's launch, there have been fears that its high cost —starting at $999, before any upgrades, warranties, or accessories —could steer people towards Android or cheaper iPhones. Specifically, Cook said that the iPhone X was the company's best-selling iPhone since the early November launch, all the way up to the day of the last quarterly earnings report on Feb. 1. Most recently, Cowen and Company analyst Karl Ackerman suggested that iPhone X production has met expectations, but could drop lower. 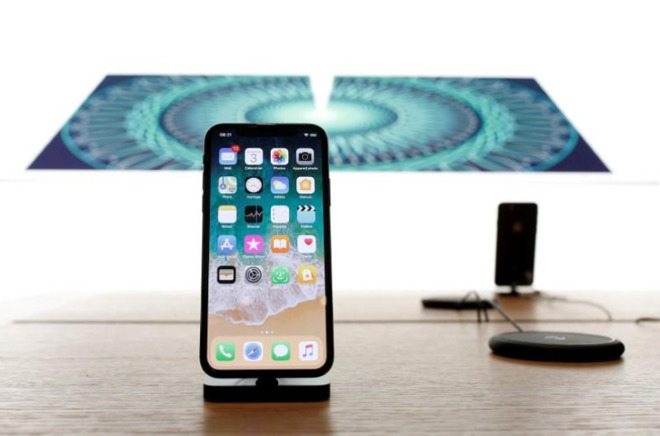 RBC Capital Markets' Amit Daryanani recently claimed that Apple has had "limited success" pitching the iPhone X at its current price, and might sell this fall's follow-up for $899 instead. A bigger 6.5-inch OLED iPhone might sell for $999. it isn't certain where either analyst sourced the data that they used to reach their conclusions. Every first quarter has a reduction in iPhone orders because of seasonality, and that "reduction" may be being misinterpreted by the analysts as an unusual one. For people unwilling to spend either sum on a smartphone, Apple is expected to ship a 6.1-inch LCD model that may nevertheless have Face ID and an edge-to-edge display, unlike the iPhone 8 and 8 Plus.